A "not guilty" plea was entered Thursday from a San Francisco woman accused of a very gruesome crime. Sam Brock reports. 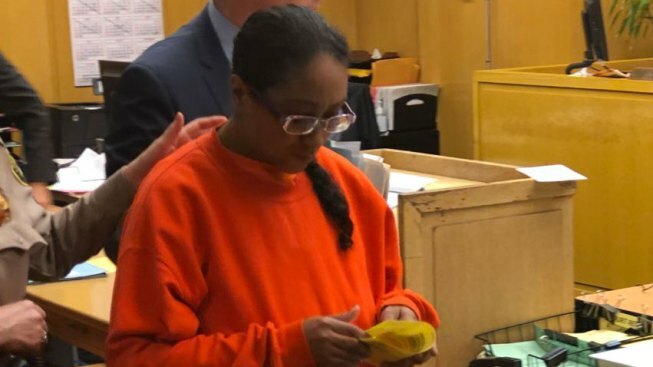 A woman charged with murder for allegedly killing and then dismembering her roommate's body pleaded not guilty Thursday morning in a San Francisco courtroom. 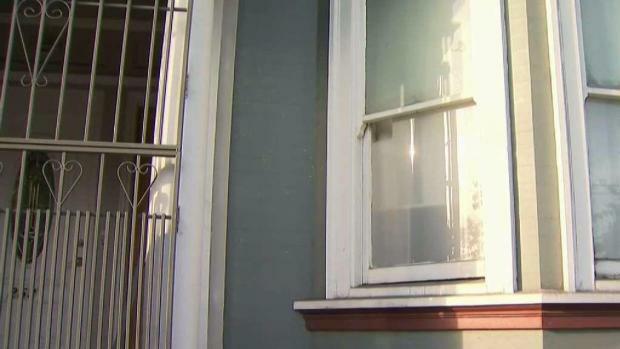 Prosecutors say Lisa Gonzales, 47, killed Margaret Mamer, 61, sometime between May 13 and June 2 at the Mission District apartment they shared in the 200 block of 14th Street. Officers conducting a welfare check on Mamer discovered her body on June 2, stuffed inside a plastic container in a storage unit at the building. During this morning's arraignment, Assistant District Attorney Adam Maldonado said prosecutors are waiting on a report by the city's medical examiner's office that he said should be ready within the next two or three weeks. A woman accused of the grisly slaying and dismemberment of her 61-year-old tenant told police that she “flipped” during what she claimed was an argument over the victim’s refusal to move out. Outside of court, however, Gonzales' attorney Deputy Public Defender Alex Lilien said the report could take longer than that. Although the medical examiner's office has concluded that Mamer's death was in fact a homicide and that she suffered blunt force trauma and "sharp force" injuries, it has not determined how she died. That detail, Lilien said, will be crucial for the defense. "The dismemberment and allegations about that ... is something that would've happened after the person was killed. So it colors this and makes it sound terrible but that's not necessarily the main point here," Lilien said. "The cause of death is still going to be the most important issue here and all the things that happened afterward, perhaps as unsettling as they as, are going to be less of an issue than actually what the cause of death was and the circumstances surrounding it," he said. According to court documents, starting in August 2017, Gonzales rented a room to Mamer and charged her only $400 per month after learning that Mamer had recently lost her home and fallen on hard times. However, by December, Gonzales became frustrated after things around the house started to go missing or were misplaced. Gonzales allegedly asked Mamer to move out, but Mamer stayed in the apartment and around mid-April, Gonzales gave her a 30-day notice to leave. Mamer, however, did not leave, according to court documents. Another roommate said that on May 15, when that roommate came home, Gonzales told them not to go in the bathroom. Later that evening, the roommate reported a "metallic" smell at the apartment and when they left to go to the store and returned, they smelled the scent of vinegar. The next day, the roommate said they heard what sounded like a saw being used in the bathroom. Later that evening, the roommate said the apartment smelled like rotten eggs. When the roommate asked Gonzales where Mamer was, Gonzales confirmed that Mamer left, adding "but not the way she should have," according to court documents. Days later, the roommate said they saw a hacksaw underneath the sink in the laundry room and also noticed that a plastic container in the home was missing. On May 31, the roommate told another person that they feared that Gonzales had killed Mamer. That person subsequently reported it to officers at the Ingleside police station. The following day, Mamer's friend made a missing person report, saying they hadn't seen Mamer since May 15. When officers showed up at the residence the next day looking for Mamer, Gonzales allowed them to search it, in addition to the common storage area where Mamer was ultimately discovered. Upon inspection of the storage unit, officers noticed a "pungent" odor coming from inside. After noticing the plastic container, which was in plain view, the officers opened it and saw a plastic bag covered with maggots and liquid coming out, according to court documents. As officers were about to open the plastic container, Gonzales allegedly expressed reservation and the officers stopped and obtained a search warrant before proceeding. After obtaining the warrant, officers opened the plastic bag and saw Mamer's cut-up body with her limbs sawed-off and head and torso still intact, court documents said. After the gruesome discovery, officers arrested Gonzales. When interviewed by investigators, Gonzales reportedly said that she and Mamer had gotten into an argument but said that she had no recollection of the events that occurred afterward and when asked what happened by investigators, Gonzales said, "probably nothing good." According to court documents, Gonzales was convicted in 2004 of assault with a deadly weapon after she struck a co-worker in the face with a metal object, fracturing the woman's jaw and shattering her teeth. Gonzales served a year in San Francisco jail and was placed on five years' probation afterward. According to Lilien, Gonzales is a lifelong San Francisco resident and had lived at the 14th Street apartment for most of her life. She is set to return to court on July 14 and remains in custody without bail.